Last night the ladies of Real Housewives Of Beverly Hills celebrated Culture Club, and the CULT in cult-ture that is Lisa Vanderpump. They’re all desperately trying to leave, but they can’t escape the pink porcelain urns. Or rely on PK Kemsley to stick to the plan! The first thing we have to discuss, though, which I really do not want to discuss, is Kyle Richards and Teddi Mellencamp Arroyave allowing Portia and Slade to be models for a ‘kids makeup line’ called “Petite & Pretty.” Which sounds like how a cougar would describe themselves on Tinder, and is being marketed to trailer parks in Alabama where people dream of turning their daughters into Honey Boo Boo. We all know that the Real Housewives of Beverly Hills’ Dorit Kemsley loves the finer things in life. And that she is not shy about showing off what she has. From an expensive rose gold Bentley to an affection for expensive clothing, this lover of luxury portrays living a life of wealth and extravagance. Dorit proudly showed off her house re-model last year. She also made sure that Teddi Mellencamp Arroyave knew the proper glasses to use for wine and champagne. And she would probably wear her clothing inside out to show off the designer labels-if she thought she could get away with it! Behind that extravagance, we have seen some leaks in the Kemsley financial boat. Dorit and her husband PK Kemsley are embroiled in several financial lawsuits. Now, more information has come out about the precarious state of the Kemsley’s finances. Namely, one lawsuit from a Las Vegas hotel against PK that is not going away any time soon. Thankfully Season 8 of Real Housewives of Beverly Hills has come to a close. After painfully boring non-story lines, this season somehow got dragged out further with three reunion episodes. Then, we were subject to yet another episode. 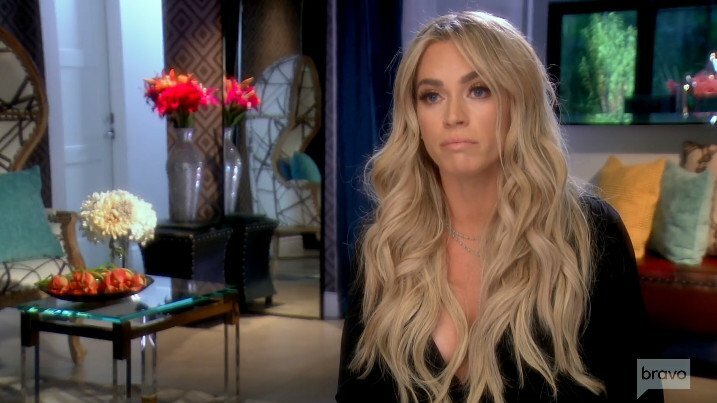 Even though the Secrets Revealed episode was just a lighthearted episode where nothing happened- much like the rest of the season- Teddi Mellencamp Arroyave is annoyed after watching Dorit Kemsley make comments about her career. It’s all good in Dorit Kemsley’s world this week. The Real Housewives Of Beverly Hills star is riding the mild current of minimal drama (temporarily, to be sure) as she recounts the fun she had rollerblading with Lisa Rinna and Eileen Davidson – not to mention good pal Boy George coming to the rescue at hubby PK Kemsley’s birthday party. But the best thing about Dorit’s blog? She makes absolutely NO mention of Kim Richards’ SOBRIETY! From me to you, Dorit: Thank you. “What a great week!” exclaims Dorit. “My afternoon with Eileen and Lisa R was so much fun and just what we needed, something uplifting and a great way to bond! We were all in a playful mood. Being from the East Coast, roller blading wasn’t anything I’d ever tried before, but we had a lot of laughs.” Um, rollerblading exists in Connecticut, right? Thought so. 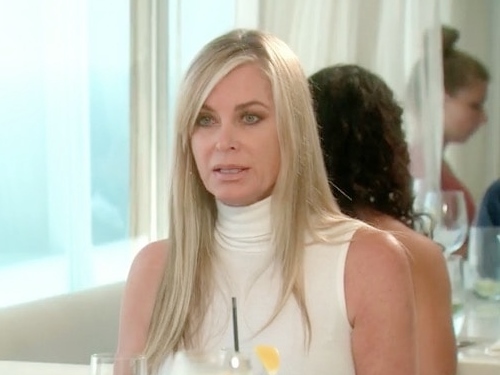 Questions and utter confusion about sobriety abound on Real Housewives Of Beverly Hills, but Eileen Davidson thinks everyone should just shut their traps about it. And I’m beginning to agree. It’s taken over the theme of this season’s RHOBH, and gives life to Kim Richards’ many, many issues without offering any real solutions. Not a viable – or even very interesting – storyline, to be sure. Eileen blogs about Eden Sassoon’s meddling, Dorit Kemsley’s penchant for broadcasting rumors, and her desire to “hit the reset button” on just about everything. After Eileen shares the sad news that her family has experienced “another tragic loss” recently, she expresses the desire to get “back on track after last week’s lunch” with Dorit. Rollerblading helped, even though there was no tequila to be had! Newest addition to the Real Housewives of Beverly Hills cast, Dorit Kemsley burst on to the scene with over the top glitz and glamour – Buddha parties, rose gold Bentleys, Boy George – oh my! Although she seems to be headed for drama with Erika Girardi very soon, Dorit’s appearance on the show thus far has been smooth sailing.